Lok Sabha Elections 2019: Who Will Mathura Vote For? Mathura Lok Sabha seat in Uttar Pradesh will vote on April 18 during the second phase of Lok Sabha Elections 2019. The counting of votes will be conducted on May 23. 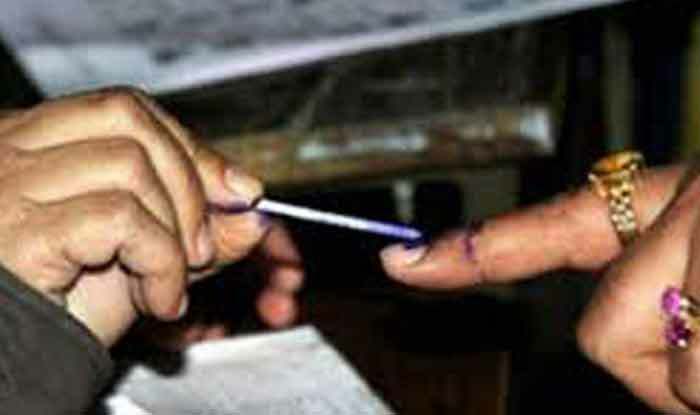 Lok Sabha Elections 2019: Mathura parliamentary seat, which is one among the 80 constituencies of Uttar Pradesh, will go to polls in phase 2 of Lok Sabha Elections 2019 on April 18. As per the Election Commission of India (ECI) 2009 data, the seat constitutes of a total of 1,341,649 electorates – 593,726 females and 747,923 males. It will witness a tough contest between the Bharatiya Janata Party (BJP), the Congress and Samajwadi Party (SP)-Bahujan Samaj Party (BSP)-Rashtriya Lok Dal (RLD) alliance. The current sitting member of parliament of constituency number 17, Mathura, is BJP’s Hema Malini. She had won the 2014 general elections against RLD’s Jayant Chaudhary by over 23,000 votes. For Lok Sabha Elections 2019, the seat is set to foresee a stern competition between 13 candidates of different parties. After scrutiny and withdrawals on March 29, 13 candidates were left in the fray for the election to the Mathura Lok Sabha constituency. The seat which will go to polls on April 18 will become an eye-witness to a nail biting tug of war between sitting BJP MP and actor Hema Malini who has been pitched against Narendra Singh of the RLD, which is part of the alliance with the SP and the BSP, and Mahesh Pathak of the Congress. Who Will Mathura Vote For? If analysts, quoted by media reports, are to be believed, victory in the Lok Sabha polls from Mathura for the opposition candidate is certain if they could manage to swing the Jat, OBC, Muslim and Thakur votes in their favour. Notably, majority of the population in the region is of Hindus while Muslims, Buddhists, Jains and Christians also reside here. Voters of Mathura have a somewhat divided opinion when it comes to choosing their MP. “Hema Malini never came to our village. We did not see her after 2014. We prefer a local who is approachable,” a resident of Chhata Assembly that falls under Mathura Lok Sabha seat was quoted as saying in a PTI report. Mathura has five assembly segments – Chhata, Mant, Goverdhan, Mathura and Baldev. The BJP won this seat from 1991 to 2004, the Congress (Manvendra Singh) in 2004 and Jayant Chaudhary of RLD (2009). Uttar Pradesh is witnessing seven-phased polling. Eight seats – Saharanpur, Kairana, Muzaffarnagar, Bijnor, Meerut, Bhagpat, Ghaziabad and Gautam Buddha Nagar – went to Lok Sabha Elections 2019 in the first phase on April 11. Till 5 pm, the seats recorded an overall voter turnout of 59.77 per cent. The voting for final phase of the general elections will be held on May 19. The counting of votes will be conducted on May 23.